This summer a PHD art program (<a href="http://www.transart.org/transartfest/events/"><strong>Trans Art Institute</strong></a>) that often spends its summer in Berlin has asked me to put together and teach a workshop of my own choosing. It seems appropriate to me for us all to be asking ourselves many complicated and difficult questions about the state of ,our own as well as in general, ART PRACTICE today. Towards this end I have created a temporary blog with five posts to lead us towards the necessary conversations. 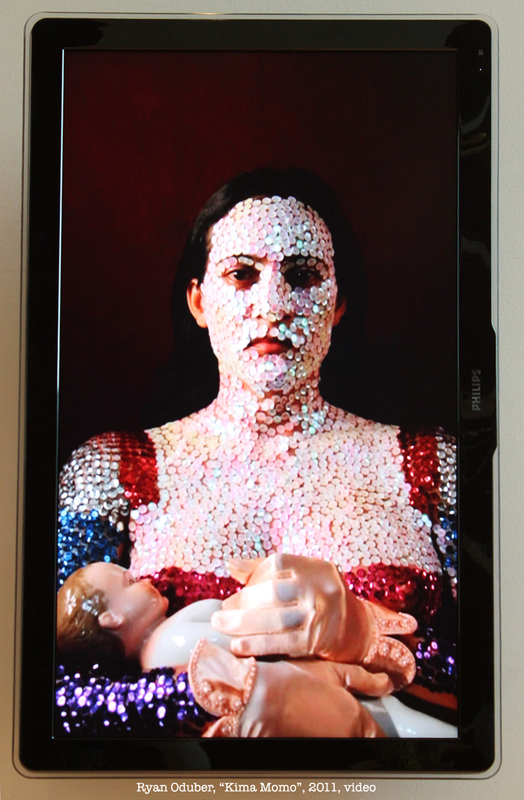 <a href="http://theechochamberworkshop.blogspot.de/2013/07/artist-k-wiley.html">Link to <strong>POST 4</strong></a>. Case Study: Kihinde Wiley, artist. This image serves as an apt metaphor for the necessary granular analysis necessary today, individually and in community. The workshop went very well- the day began with 4 <em>PechaKucha</em> styled presentations by myself and 3 additional teachers/workshop teams. My class had approximately a dozen participants and it encompassed the whole day plus some extra. We reviewed five questions that were distributed prior to the workshop as well as looking closely at the five posts from the blog links noted above. The questions and the topics that arose were extremely challenging for everyone and yet we all knew that they must be taken seriously. I proposed that there is sufficient collective wisdom that lies between us here in todays workshop. Many of the sources and current perceptions of the artworld today were new or vaguely familiar to this rather motivated group of artists who were ambitiously committed to moving forward with their practices. 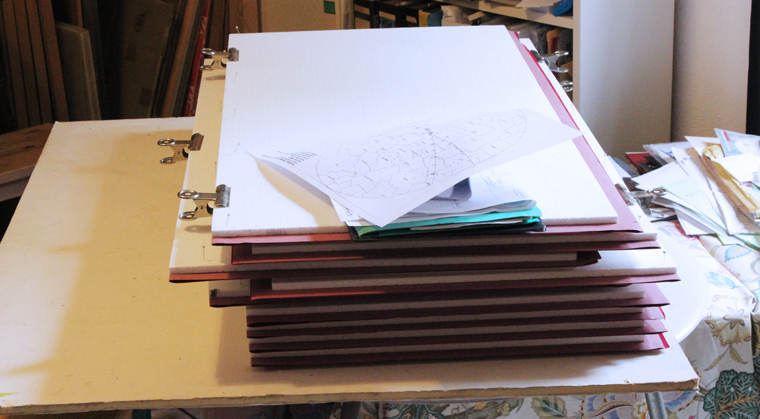 Some of the asigned tasks were very challenging for them when I requested a minimum or less of using tecnical devices such as computers as a crutch to speaking about ones own work- something almost every artist has difficulty articulating perfectly. I requested simple A4 printouts for scotch-tape pinups presented in the elevator-pitch format with a bit more generosity of time than a pecha kucha presentation without the glamor of powerpoint. After the success of the days hard work among all the participants i think one more post will be forth coming and necessary to start to round out some other examples of the state of affairs in the art world today. I will continue on as an adviser for <em>Trans Art Institute</em> through next year and we'll see what their interest will be for re-staging the workshop course next year, with modifications since the topic it covers continues to morph. I have been developing some digital <a href="http://lh3.ggpht.com/-bA_DatvD2_k/UWtBsJTptGI/AAAAAAAAGbo/9N2MbumyTBA/s1600/Picture+37.png">sketches</a> and proposals for the re-installation of "<em>The Goddess Constellation / Sky Above Port-au-prince Haiti 12 January 2010 21:53 UTC</em>" in various spatial configurations such as in a <a href="http://lh3.ggpht.com/-eoiu_pia0e4/UWs_qRjfqeI/AAAAAAAAGbg/Q1XwY6Klqis/s1600/VeniceFotoshop6.png">ruin</a> or an existing <a href="http://lh3.ggpht.com/-S5S2cHANN0w/UWs_mVUBkHI/AAAAAAAAGbA/bG6yZ-5d5Y4/s1600/VeniceFotoshop1.png">museum</a> or a <a href="http://lh3.ggpht.com/-PUdGUw9xE5I/UWs_k4V_oRI/AAAAAAAAGaw/h3UMlcHIl4o/s1600/VeniceFotoshop2.png">community</a> space or a non art venue such as a <a href="http://lh3.ggpht.com/-Ibhewvr3D20/UWs_nVlfqJI/AAAAAAAAGbI/UiRUnNdPyZE/s1600/VeniceFotoshop5.jpg">castle</a> or <a href="http://lh3.ggpht.com/-4Wfijw13PrE/UWs_lmgCtQI/AAAAAAAAGa0/BY_czMRtFcc/s1600/VeniceFotoshop3.jpg">villa</a>. While in Africa i missed the opportunity to meet with the Haitian filmmaker <a href="http://en.wikipedia.org/wiki/Raoul_Peck">Raoul Peck</a> whose work i have marveled at at been deeply touched for years. His new film on NGOs in Haiti was to be filmed at the Berlinale and a close friend Wieland had the intention to make the introduction of two committed creative workers who share this small nation as our <a href="http://en.wikipedia.org/wiki/Heimat">HEIMAT</a>. My father has studiously kept his eye on many things and was kind enough to share with me Monsieur Pecks important work entitled "L'Assistance Mortelle" (= Mortal Assistance/Lethal Help) currently on view through Arte online here in Europe. As an aside there are various other online programs which have covered the topic- but with a distance that falls short of the true complexities Mr.Peck embraces successfully. And finally Al J who should know better than starting their first sentence "Haiti one of the most impovrished countries in the world..."
Ordering this issue with the feature on my work in a conversation with art historian Jerry Philogene can be had by going to this link <a href="http://arcthemagazine.com/arc/issues/">www.arcthemagazine.com</a> Issue No.7 will include a Creative Caribbean Community & Diaspora Passport created for the Who More Sci-Fi Than Us exhibition curated by Nancy Hoffman at Kunsthal KadE in the sunner of 2012. It is FINALLY demolished. It should not have been demolished in my opinion. It should have been preserved AS a RUIN. PORT-AU-PRINCE: Haitian President Rene Preval said Wednesday France has offered to rebuild the ruined presidential palace, whose collapsed cupola has become a symbol of the devastated quake-hit nation.The French "ambassador has told me that France is ready to rebuild the national palace as it was," Preval told a press conference at the government's temporary headquarters near the airport. The imposing white domed building, designed by the Haitian architect Georges Baussan, was constructed in 1918 during the time of the American occupation, and was modelled on the White House, guide books say. 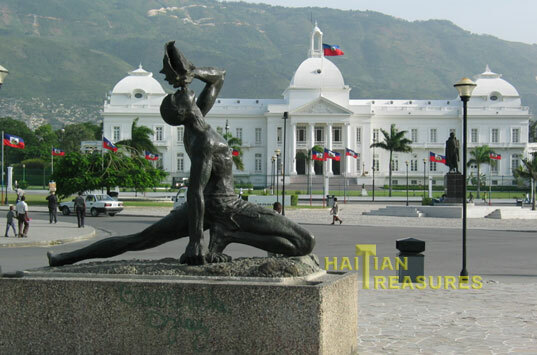 <span class="small">The National Palace presently occupying the site was designed in 1912 by Georges H. Baussan (1874–1958), a leading Haitian architect who graduated from the Ecole d'Architecture in Paris and whose commissions included the City Hall of Port-au-Prince and Haiti's Supreme Court Building. He was a son of a former Haitian senator and the father of Robert Baussan, an architect who studied under Le Corbusier and later became the country's Undersecretary of State for Tourism. Baussan's classical design was chosen from a range of plans submitted by Haitian and French architects in a national competition in 1912, His entry was awarded the second-place prize but also was selected to be the new National Palace, for financial reasons—the structure proposed by the first-place winner was deemed too costly. <span class="small">Georges H. Baussan's 1912 design for the National Palace of Haiti. "<span class="small">Paris. an internationally key and highly influential Western space in all things concerning the arts and modernity, is the perfect stage for Black Portraiture[s]: The Black Body in the West, the fifth in a series of conferences organized by Harvard University and NYU since 2004. Black Portraiture[s} explores ideas of the production of self-representation, desire, and the exchange of the gaze from the 19th century to the present day in fashion, film, art, and the archives. How do these images, both positive and negative, define, replicate, and transform the black body? Why and how does the black body become a commodity in the global marketplace and what are its legacies? Also, importantly, what are the responses and implications? How can performing blackness be liberating for performer and audience? How the black body has been imagined in the West has always been a rich site for global examination and contestation. The depiction of black peoples often has been governed by prevailing attitudes about race and sexuality. The conference will draw on the ideas and works of leading and emerging writers, photographers, scholars, artists, curators and filmmakers of our time and will include a broader discussion of Africa in the popular imagination.</span>"
I showed this two-chanenel video clip "simultaneously" as a preface to part of my presentation at the BLACK PORTRAITURE(S) Conference in Paris. I am not certain how to myself summarize this four day event- which Manthia Diawara, the director of Africana Studies of New York University, said in his opening remarks was the first time since 1958 that such an event has happened in Paris (and Rome that following year). He mentioned how the work of Franz Fanon was virtually still unknown in his native France, a statement that was meant to - and successfully did- stun the hundreds of international academics. The key organizers have been <em>Henry Louis Gates Jr.</em> of Harvard's W.E.B. Dubois Center and <em>Manthia Diawara</em> of NYU'S African Studies, but as Manthia also pointed out in his opening remarks- he has been understandably distracted by the current violence in his birthplace Mali and that the conference is in fact fully in gratitude to <em>Deborah Willis </em>director of Tisch School of the Arts, NYU and her team who have successfully organized this massive conference that will take place at L'école superieur des beaux arts, the Sorbonne's Paris 7 and at the Musée Branly over four days. 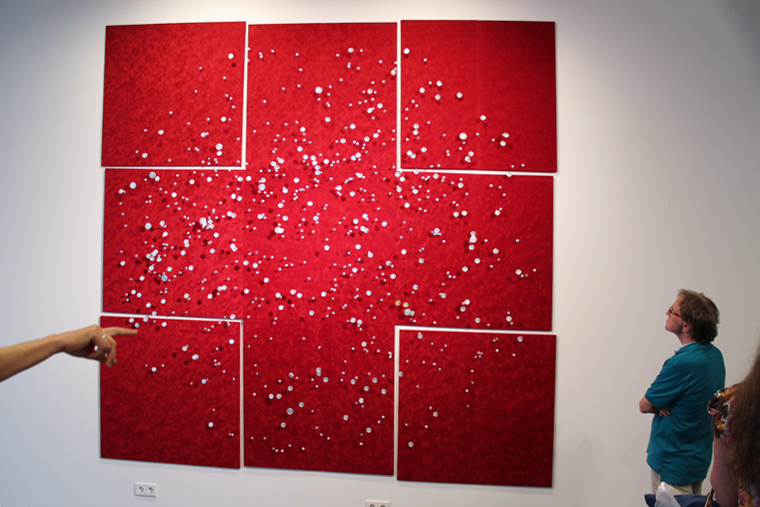 The basic premise for my own presentation of my work was the underlying trend from "embodiment" to the "disembodied". The emblematic image used for the Black Portraiture's conference was by the Angolan conceptual artist Kiluanji Kia Henda entitled "<a href="http://lh3.ggpht.com/-r5rs6cM95Go/UMa4UDQX9tI/AAAAAAAAEhU/B7XWFV09lhA/s1600/merchant+of+venice.jpg">Merchant of Venice</a>" It was very well publicized including new platforms such as <a href="http://blog.uprising-art.com/black-portraitures-black-body-in-the-west-paris/?lang=en">UPRISING</a> Contemporary Caribbean Art who had conducted an interview with me last year in 2012 during the Kunsthal KAdE exhibition in Amersfoort NL. 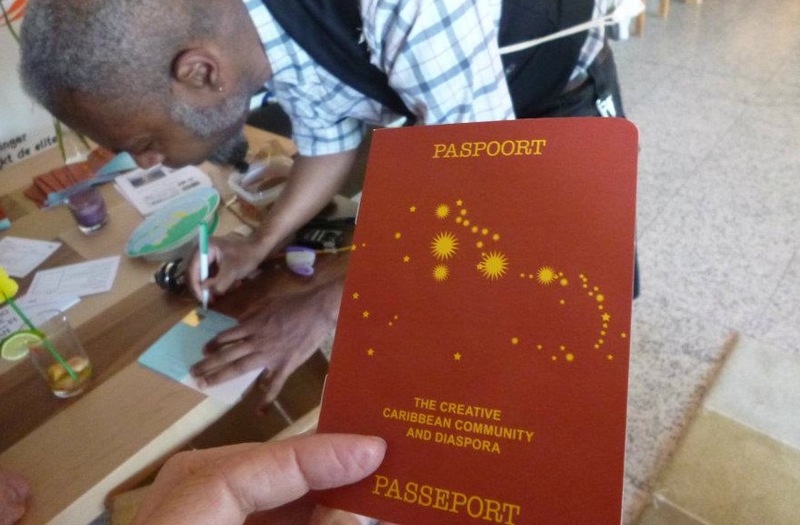 A great resource for all things visual (including Caribbean DNA) is ARC Magazine, click <a href="http://arcthemagazine.com/arc/2013/01/notes-from-the-stuart-hall-library-2012-no-5-from-roshini-kempadoo-animateur-for-sh-library/">HERE</a> for their quick summary of the overall experience soon after this Paris event. Another ARC magazine review of a specific panel is <a href="http://arcthemagazine.com/arc/2013/02/black-skins-white-snow-report-from-black-portraitures-the-black-body-in-the-west/">HERE</a>. 9:45-11:00 AM (TCL) (IL)LEGIBILITIES: WHAT MAKES THE BLACK BODY READABLE? 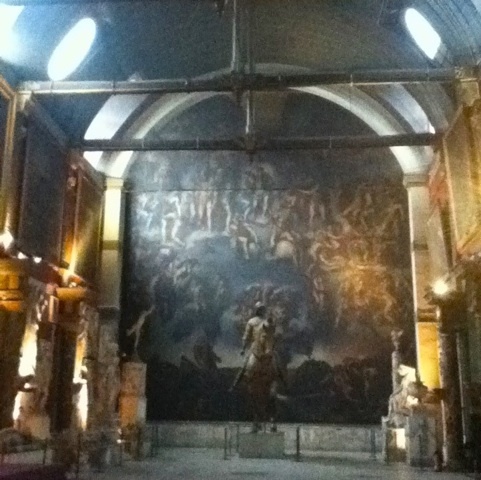 Film Screenings in the Salle de Cinema (SC). A satire about young men who are prepared to make the most outrageous promises in order to satisfy the longings of young women for exotic experiences. *with the support of the Cinémathèque Afrique / Institut Français. sapeurs’ spiritual leader, Papa Wemba, the world-famous musician known as ‘The King of la Sape’. In the presence of Nora Chipaumire “Nora” is based on true stories of the dancer Nora Chipaumire, who was born in Zimbabwe in 1965. In the film, Nora returns to the landscape of her childhood and takes a journey through some vivid memories of her youth. Using performance and dance, she brings her history to life in a swiftly-moving poem of sound and image. An action film with elements of film noir, Shaft tells the story of a black private detective, John Shaft, who travels through Harlem and to the Italian mob neighborhoods in order to find the missing daughter of a black mobster. 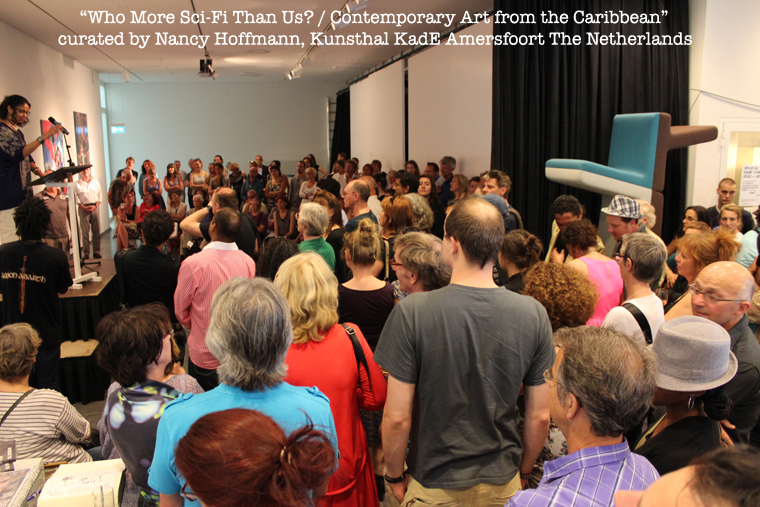 Just got off the telephone with "mediator" Nancy Hoffman who is curating an exhibition in Amersfoort (The Netherlands) at the <a href="http://www.kunsthalkade.nl/tentoonstelling.php?item=1962">KAdE Kunsthal</a> with artworks by me and our Caribbean diaspora's creative-community. This will reflect the position of the stars the moment the earthquake devastated Haiti in January of 2010 where up to 300,000 people lost their lives and limbs. "<strong>On January 12, 2010 an earthquake struck Haiti. The epicenter of the quake, which registered a moment magnitude of 7.0, was only fifteen miles from the capital, Port-au-Prince. By the time the initial shocks subsided, Port-au-Prince and surrounding urbanizations were in ruins. Schools, hospitals, clinics, prisons collapsed. The electrical and communication grids imploded. 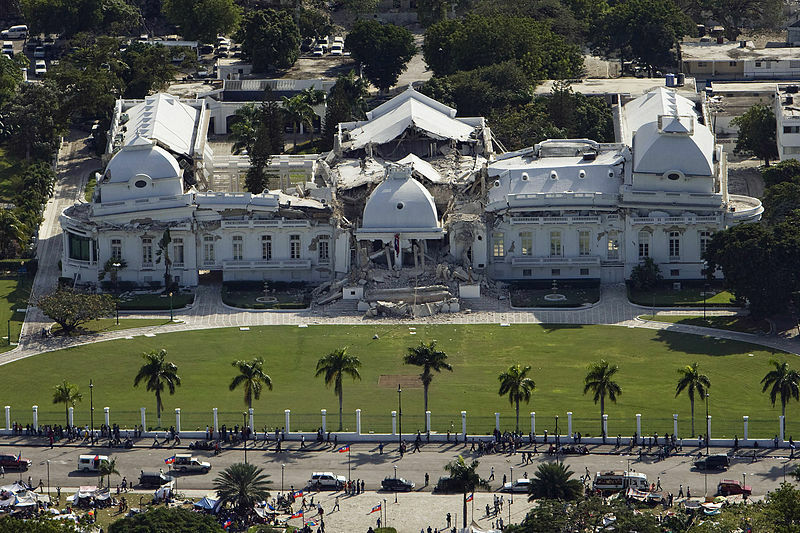 The Presidential Palace, the Cathedral, and the National Assembly building—historic symbols of the Haitian patrimony—were severely damaged or destroyed. The headquarters of the UN aid mission was reduced to rubble, killing peacekeepers, aid workers, and the mission chief, Hédi Annabi. The figures vary, but an estimated 220,000 people were killed in the aftermath of the quake, with hundreds of thousands injured and at least a million—one-tenth of Haiti’s population—rendered homeless. According to the Red Cross, three million Haitians were affected. It was the single greatest catastrophe in Haiti’s modern history. It was for all intents and purposes an apocalypse.</strong>"
SOURCE: Junot Díaz - "Apocalypse / What Disasters Reveal"
In this blog are several interesting references. 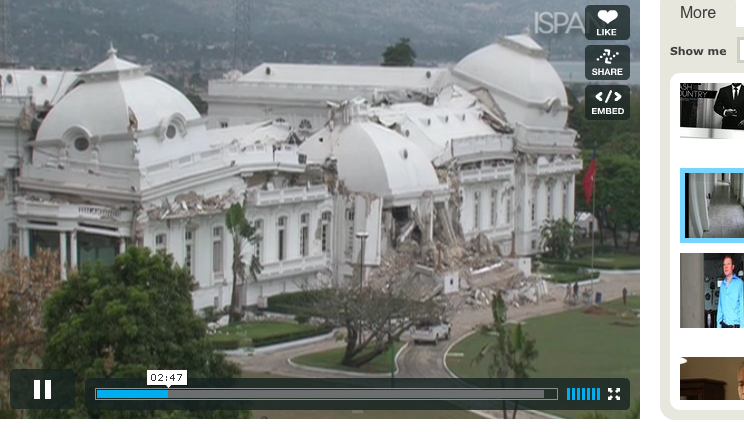 An interesting documentary film on Haitians symbolic National Palace (Palais national) which I had used years ago on the outset of my auto biographical work The ABCs of My Private Life. My contention has been that the Palais National should be preserved as ruin and never reconstructed. There is also a link to historical data on seismic activity in the Caribbean basin. The Goddess series takes up the idea, in part, that science is the new religion and that a mysticism of science will emerge- thus these become the endless critical documents of our new belief systems. Le groupe constitué par l'Institut de Sauvegarde du Patrimoine National (ISPAN), après consultations de divers secteurs de la société, après des consultations techniques sur l'état de conservation du Palais National, formule ses recommandations. • Le Palais national construit entre 1913 et 1922 selon les plans de l'architecte haïtien Georges Baussan est, sans conteste, l'expression la plus achevée d'une grande période de l'Architecture en Haïti et est probablement un des plus bel exemple d'architecture néo-classique transplantée en Amérique. • Les qualités plastiques, architecturales et architectoniques du Palais National en ont fait un des bâtiments les plus importants de l'histoire de l'architecture en Haïti. La réussite architecturale du Palais National tient à la combinaison des deux composantes principales : d'une part, la spontanéité de son assentiment à l'architecture néoclassique, associée à une générosité dans la distribution et le positionnement des espaces, un constant souci de la commodité, une quête permanente de la lumière, une rare précision dans le dessin, et d'autre part, une réelle adaptation aux conditions climatiques. • Réalisé en béton armé, cet édifice constitue, de plus, une avancée remarquable dans la technologie de la construction en Haïti. • Siège de la présidence de la république depuis près d'un siècle, le Palais National est le témoin privilégié d'événements importants de l'histoire politique et sociale de la nation. • Cet édifice possède les trois valeurs définissant un monument historique : une signification, une valeur documentaire et une valeur architecturale. Pour toutes ces raisons, le palais national mériterait largement de rester en place dans la mémoire collective. 3. Nécessité de privilégier une approche urbaine dans tout projet de restauration du Palais National et de prendre en compte son environnement immédiat. La notion de préservation du patrimoine devrait dépasser celui du monument isolée et s'étendre au quartier (Champ- de-Mars), au centre historique de Port-au-Prince et à la ville. 4. Nécessité de considérer que les exigences de la bureautique moderne s'accommodent mal au fonctionnement du Palais National. Sa restauration ne devrait envisager que les fonctions d'apparat et les activités officielles de la Présidence (réception officielle, réunion du Conseil des Ministres, etc.). a visite du monument historique devrait également être pris en compte. Les fonctions administratives et autres seraient aménagées dans de nouveaux espaces appropriés et construits à cet effet. <strong>Yesterday</strong> i took 25 minutes to watch a cinematic work by Werner Herzog. I am very taken by this minimalist work and have been impressed by every piece i have seen by this German filmmaker. I stayed up all night unable to sleep thinking about this film and <em>how it operates as a work of art</em> that is simultaneously critical and personal and universal- key elements, in my assessment, necessary in a great work of art. This work brings up the topic of sufferance and makes me recall a text by the New York based art-critic Peter Schjeldahl who wrote about it as necessary element in the experience of the artist in order to create great work. I have for years been appalled at his statement and dismissed them as artistic romance. I must now confess, under the analysis of piercing interviews, that there is an undeniable kernel of truth within this notion of pain. I have unwittingly used art to exorcise pain, great or small, as a catalyst for comprehending a complex set of seemingly disparate events in the worlds i inhabit. 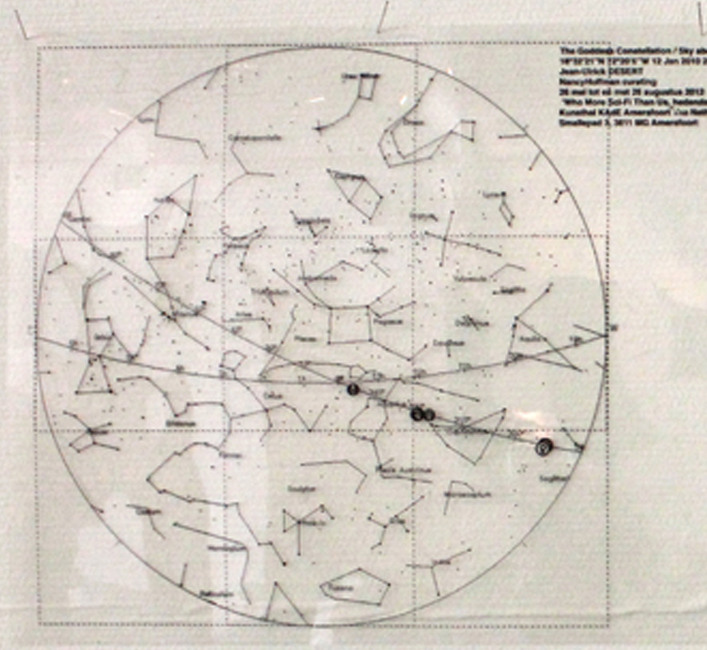 The death of an estimated quarter of a million people with whom i share my Heimat is encapsulated in my <em>Sky Above Haiti / Goddess Constellation</em>. The horror of watching New York's September eleven attacks found its exorcism in the <em>Burqa Project: On The Borders of My Dreams I Encountered my Double's Ghost</em>. 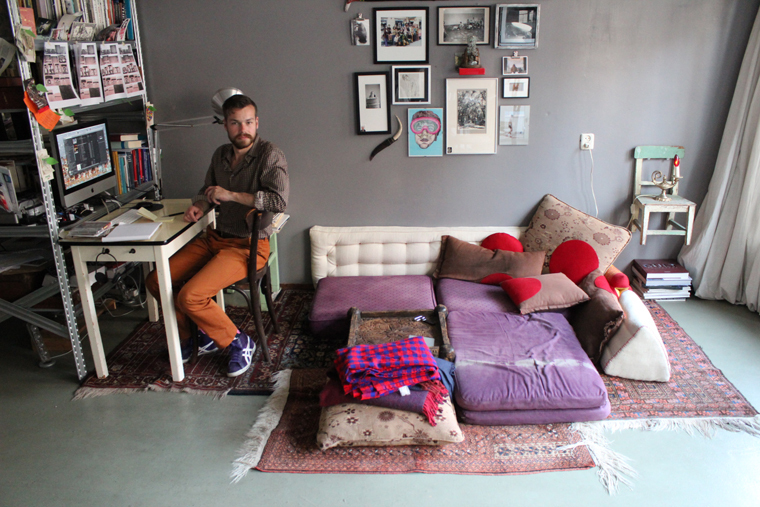 The trauma of being attacked in the streets of Berlin birthed the Negerhosen2000 projects. Perhaps for now I wont lay out the genesis of my works since this is ultimately less important that the work itself and its ability to transmit authentic experience through the a poetic lens. It is that captured authenticity in the art as vessel that will persist and carry an experience through time. les yeux de tous les enfants du monde. l’homme qui se rase avec un tesson de bouteille. et enfle mes voiles comme un vent de pleine mer. et abîmer la natte de mes amours. afin de régler la note des grenades et des fusils. d’une coulée de ténèbres comme une lame tranchante d’épée. d’après l’intensité du sommeil contre sa rétine. il est minuit dans mes yeux. ne sait pas que la terre tourne. Dis-leur que nos fins de mois sont aussi closes que des portes de prison. condamné au régime du secret. dénoue chaque bourgeon de leur avenir. I saw this film many years ago and I found it very interesting in all its details. "Haiti" seems to arise from nowhere in the film- other than as a strong "symbol" for black sovereignty and pride (yet caged). Nothing is ever explained- but it is one of those artistic devices in which it stands in easily for the volumes of history and perceptions that can not be said. Josephine, like Hanna Schygulla in Fassbinder's Mariage of Maria Braun (1979), represents more than a person but stands-in for a large symbol of state and culture. A notable essay to footnote from <em>The Scholar and Feminist Online /Published by The Barnard Center for Research</em> on Women,by <strong>Felicia McCarren</strong> "<a href="http://sfonline.barnard.edu/baker/mccarren_01.htm">The Use-Value of 'Josephine Baker</a>'"
But where is the "Cage"? one might ask. Why am i bringing these various disparate things together? There are a variety of cages- some golden, others not, from my viewpoint. This springtime 2012 has been very full for me after spending nearly a month in New York City- mostly with family/friends and some brief but necessary interview work for some articles later in the year. 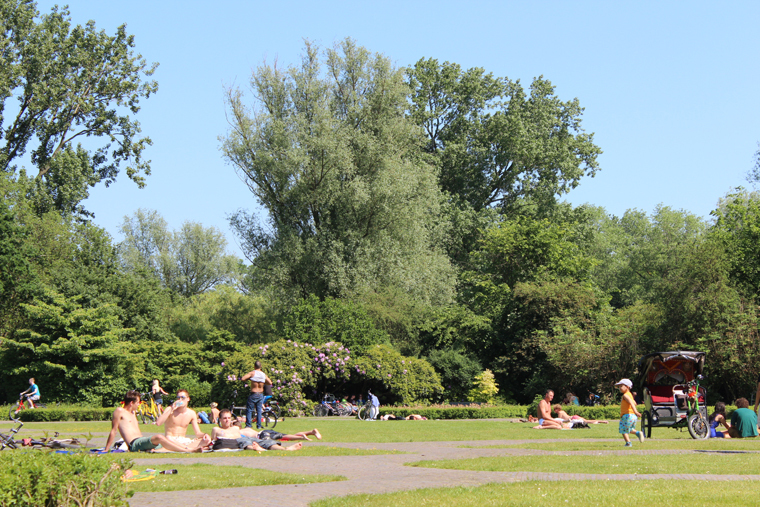 I arrived to Berlin tired and relieved after the first occasion of a New York alienation I had not known before. Much has changed in New York, and it is more beautiful, but I remain suspect at the many questionable details where the devil may lay. AUFBAU in German means to "build up" - in English we tend to say or call the neccessary period before an exhibition opens the "installation" period. 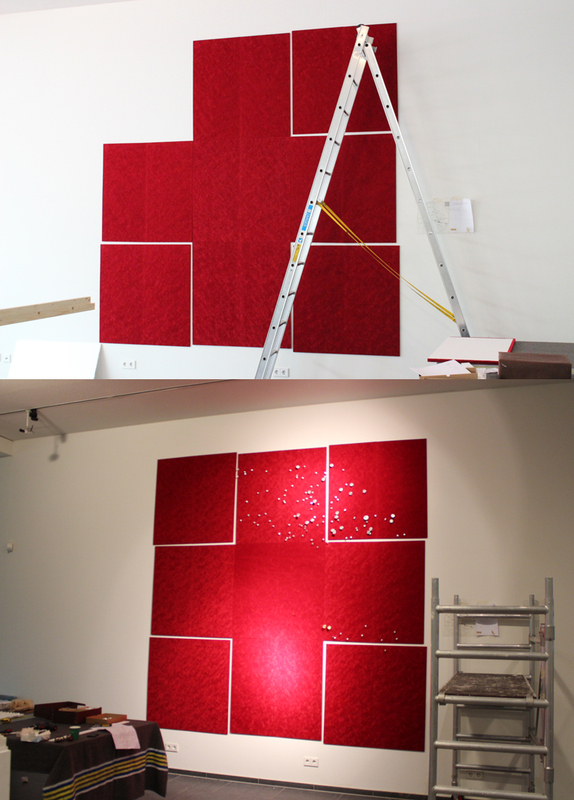 The Upcoming Aufbau of Nancy Hoffman's show would need to take priority in all my scheduled things in Berlin. 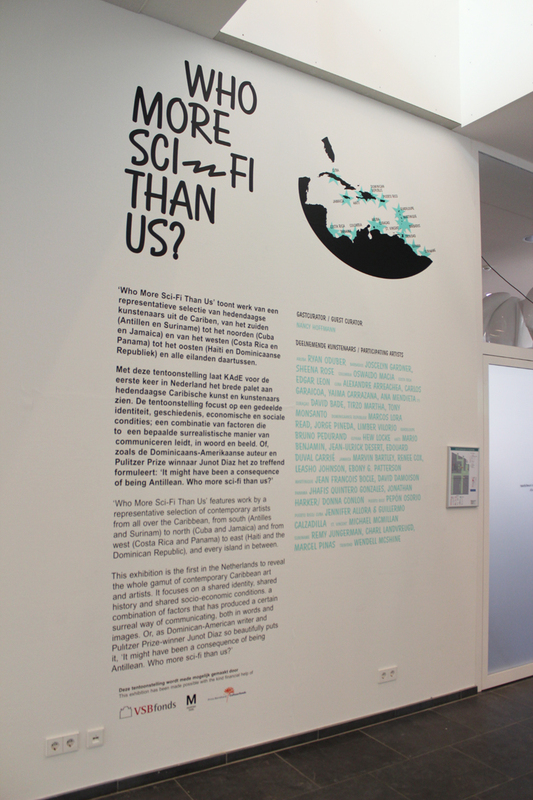 Late April and most of May 2012 has just been a laser-focus on making all the necessary elements work for the new project/commission of "Who More Sci-Fi than Us?" Within this short period of time I needed to generate a new constellation that would reflect the precise moment of Haiti's recent and <a href="http://1.bp.blogspot.com/-ADjn8AMOyV4/TuROIy_cf0I/AAAAAAAAEzI/_r8mye0TTYE/s1600/Picture+20.png">devastating earthquake</a> in January of 2010. A long week of diligent work and focus by many involved at and around the Kunsthal Kade in Amersfort brought to fruition a rather splendid show. The Artist panel discussion took place the next day- A young brilliant writer/poet with a wickedly quick mind put together his "notations" into a wonderful rambling text citing our salient points of the discussions and arguments. 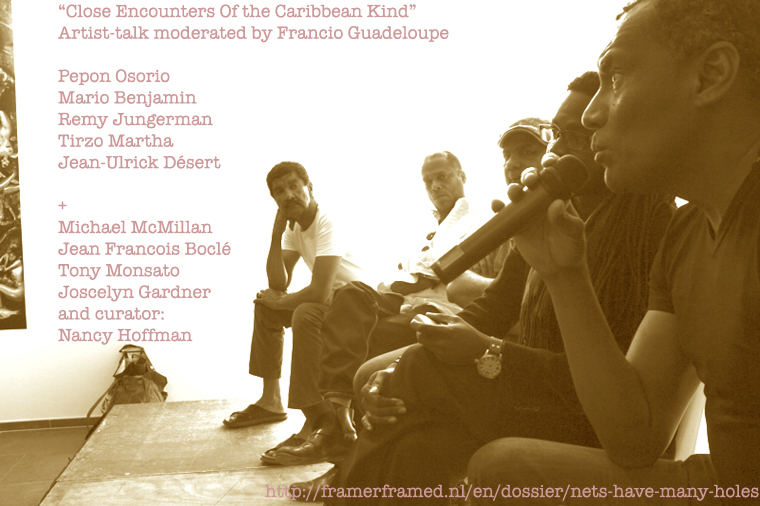 the full text by quinsy Gario is called "<a href="http://framerframed.nl/en/dossier/nets-have-many-holes/">Nets Have Many Holes</a>"